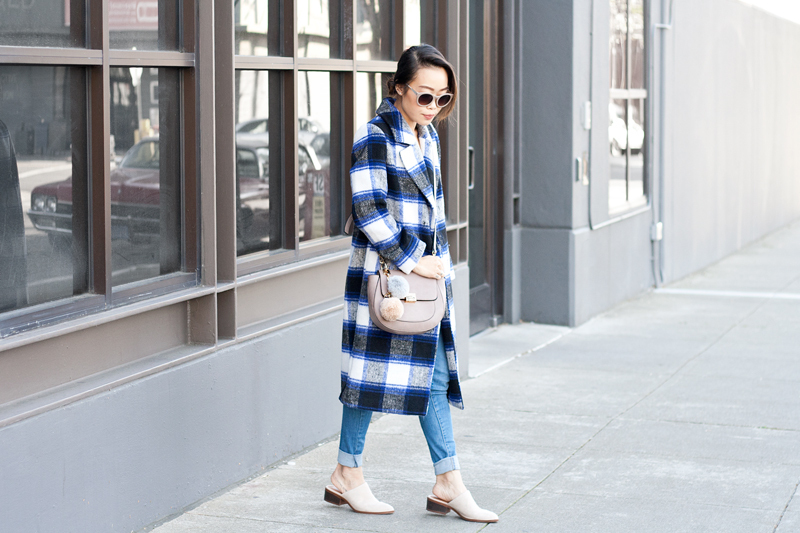 Taking advantage of the remaining days of Winter with a statement coat before Spring rolls around. 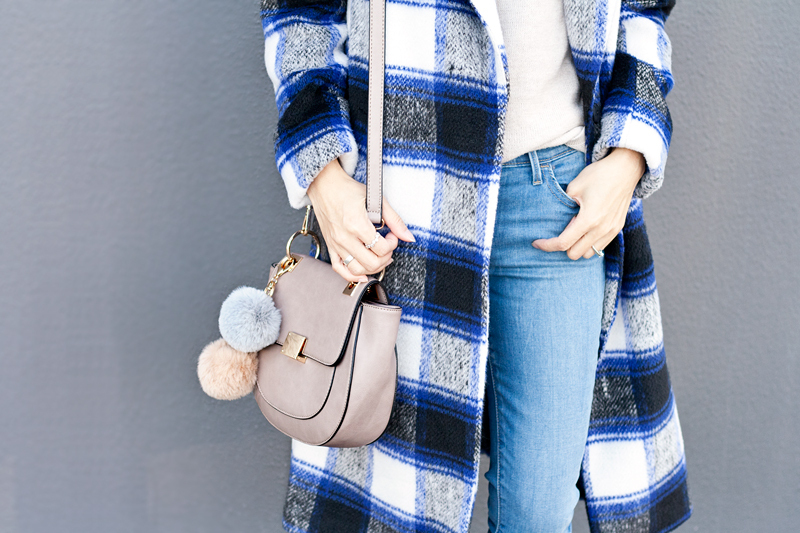 I love colder days when I can just throw on an eye-catching coat to disguise the layers of boring thermals and tees underneath! 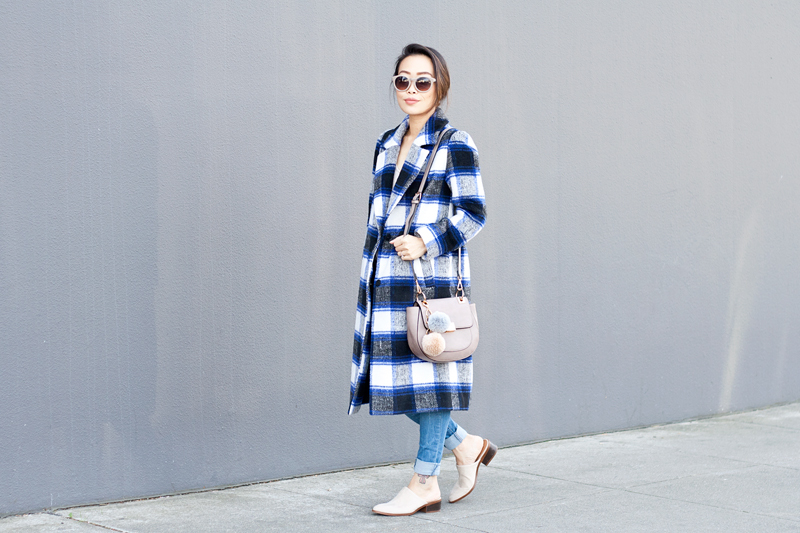 This longline plaid coat is a total steal, just snatched it for 50% off at F21 (gotta love winter sales)! Keeping it casual with a pair of lightwash Levi's, these gorgeous mules, and a lovely crossbody bag with furry pom poms! Why have one pom pom when you can have two? The more the merrier! 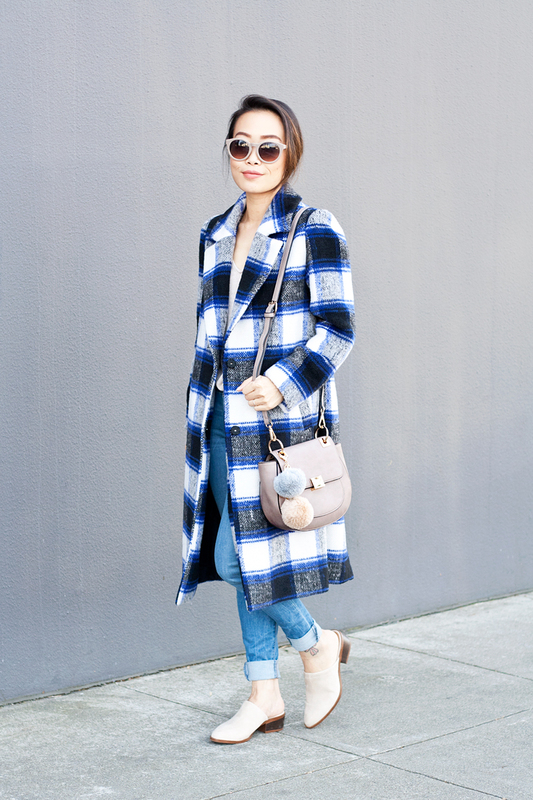 Longline plaid coat from F21. 710 skinny jeans by Levi's c/o Le Tote. 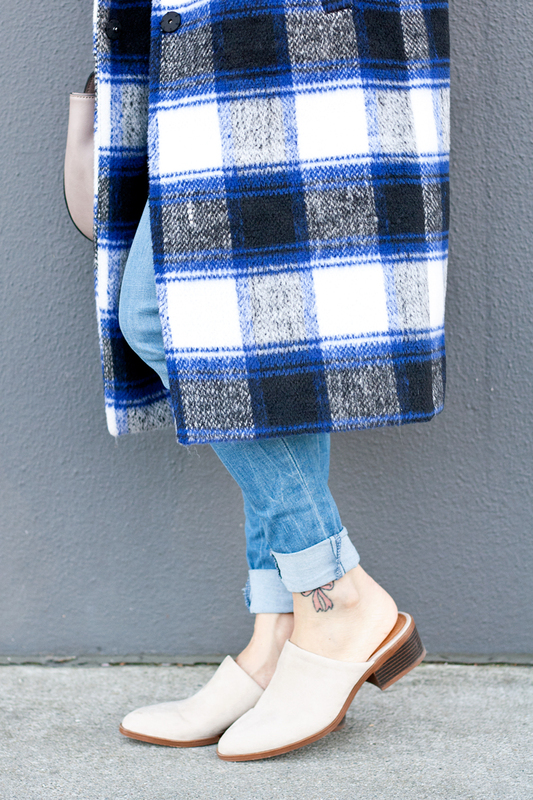 High Spirited mules c/o BC Footwear. 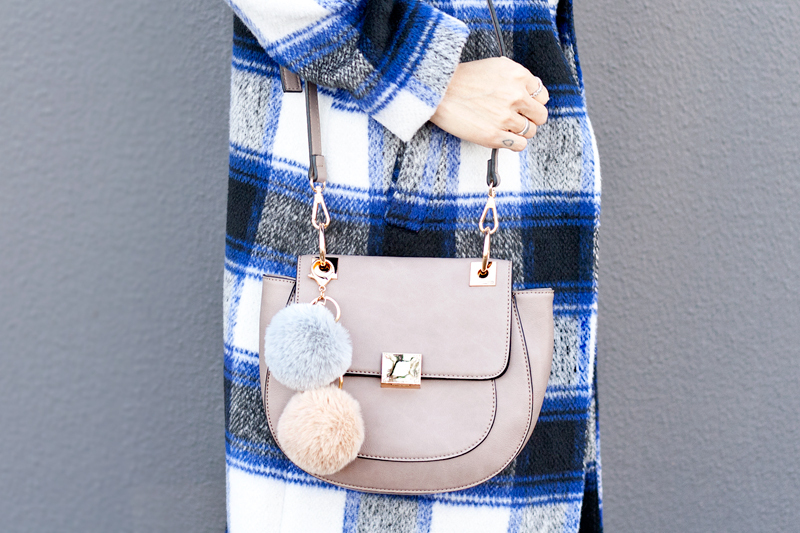 Crossbody bag with pom poms c/o Melie Bianco.